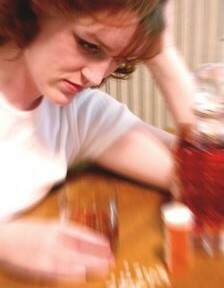 Have an alcohol or substance abuse issue? A Safe Place To Heal of McKinney TX offers substance abuse counseling & therapy to help you cope with substance abuse and lower your risk of relapsing. Drinking is considered by many to be a harmless social activity. For some, however, it’s an entrapping addiction. Life’s day-to-day activities lose their appeal as the alcoholic opts for the numbing or euphoric effects of drink. Alcoholics — and their loved ones — suffer mentally, relationally and physically. This chain-reaction dependency disintegrates relationships, promotes violence and sends the alcoholic and his or her family into a seemingly endless cycle of drunkenness, anger and despair. Many addicts minimize the impact of their drinking and insist that their life — and their habit — is under control. Though the disease may appear insurmountable, change is possible with support and treatment. What is the goal of drug addiction treatment? In addition to stopping active drug or alcohol use, the goal of treatment is to return the individual to productive functioning in the family, workplace, and community. Measures of effectiveness typically include levels of criminal behavior, family functioning, employ-ability, and medical condition. Overall, treatment of substance abuse is as successful as treatment of other chronic diseases, such as diabetes, hypertension, and asthma. According to several studies, drug treatment reduces drug use by 40 to 60 percent and significantly decreases criminal activity during and after treatment. For example, a study of therapeutic community treatment for drug offenders demonstrated that arrests for violent and nonviolent criminal acts were reduced by 40 percent or more. Research shows that drug abuse treatment reduces the risk of HIV infection and that interventions to prevent HIV are much less costly than treating HIV-related illnesses. Treatment can improve the prospects for employment, with gains of up to 40 percent after treatment. Although these effectiveness rates hold in general, individual treatment outcomes depend on the extent and nature of the patient’s presenting problems, the appropriateness of the treatment components and related services used to address those problems, and the degree of active engagement of the patient in the treatment process. Individuals progress through alcohol and/or drug addiction treatment at various speeds, so there is no predetermined length of treatment. However, research has shown unequivocally that good outcomes are contingent on adequate lengths of treatment. Generally, outpatient treatment, participation for less than 90 days is of limited or no effectiveness, and treatments lasting significantly longer often are indicated. Many people who enter treatment drop out before receiving all the benefits that treatment can provide. Successful outcomes may require more than one treatment experience. Many addicted individuals have multiple episodes of treatment, often with a cumulative impact. What would addiction treatment consist of at A Safe Place to Heal? Your needs will be evaluated on an individual basis at your first appointment. Everyone is unique and so is their course of treatment. Some people need to work through family problems that have accumulated during the active abuse of alcohol and/or grugs. In that case family or couples counseling may be the most beneficial course of treatment. Others have turned to a life of substance abuse/addiction to avoid a painful past. Individual counseling may help you to cope with what led you to use drugs in the first place. Despite the specific course of treatment, ongoing counseling is highly effective and proven to lower your risk of relapse.